The journal Mathematica Intellgencia held a vote in 1988 on the most beautiful mathematical theorem. Unfortunately they only got 76 responses. They published the results in 1990. I concur with the top place which went to Euler's identity. I doubt a more classy, yet simple equation exists. The Jewish notion that God was good is radically different from the Greek notion -- in Greek myth, after all, Cyclopes is the child of Neptune, and the gods are not always on the side of humanity -- just ask Ulysses. The Jewish notion that creation is GOOD is a radical defiance of the Greek notion that the world arose from chaos without purpose. Why is Monogamy the rule, rather than the exception, in Christian lands, and why does the ruthless exploitation of women reappear within a few years in any land where Christians powers once ruled and now have withdrawn? -- We have God Damned HONOR KILLINGS happening in the United Kingdom these days. Is that just a coincidence or happenstance that this arose just when England moved sharply and clearly away from Christianity? And this is why one of the first principles is that the rulers of the people are not qualified for their task unless they are men who hate covetousness. Given what else I read in the Bible I see this an example of how God would use a person to test the hearts of people. That is I do not think that God created a reprobate with the intention that they would grow up and reject God and attempt to draw people away from him. God did not make a person planning for him to always be evil just so he can use him to test others and with the intention of damning him no matter what. So I see this as an example of someone who has chosen to reject God and subsequently God uses this person to test the hearts of others. Now God could raise up a person like this, ie. bring them into a position of influence, but then God is giving some temporary power to men who have chosen evil, God may do this to bring about other changes he intends. I have no problems with God using people to his own desires. However the idea that God would force a person to act in a certain way then judge him for it does not seem compatible with God’s frequent call to repentance. How can we choose to do differently when we are constantly doing every little thing according to God's intention? Does tax exemption for churches directly cost taxpayers? Remove the classification of religion as a charity. That is allow charitable tax exemption only for genuine charity. Not for teaching of supernatural dogma. Given that most churches make little surplus money, and taxes are on the profits of a company, this revenue stream is going to be very small. Charities are not able to make large amounts of money and spend it as they wish, they must put the money back into the charity's cause. Ken did also raise a related issue about the cost of charities being born by others. Philosophically I have sympathies with the potential issue he identifies; I object to both covering costs for other people that they should cover, and funding groups that promote ideology I disagree with. I can appreciate that an atheist would object to his money being used for Christian evangelism, much in the way that I object to my money being used to promote humanism. However I am not certain that churches are that costly. Now tax exemption is not a direct cost, it is a refusal to tax. When Ken was asked what was the cost to him, his initial reply was twofold: religious charities were using publicly financed resources and they have a responsibility to share society's financial burden. Interestingly Ken was happy to subsidise genuine charities. Interesting in that I am not certain I support the use of government money in supporting any charities, religious or non-religious. Forced tithing has been important to the survival of the church. I think the main issue is around item 2, but I will briefly address the others. any other matters that are beneficial to the community. There are plenty of charities in New Zealand that are involved in scientific research. Schools can be charities. Neither is tax exemption restricted to charities: some sports groups have tax exemption and some of them can also request charity status. Item 3 is not unique to charities. Trusts can be misused, and some companies shift profit around the world to minimise tax. Simplifying tax law and minimising tax take are more likely to counter this problem. Item 4 is irrelevant. Companies do this too. Individuals can allow people to stay with them and not charge board, though other people may have to. This is an issue of envy, not justice. Item 5 could be a problem if true. It would need to be confirmed. Claims by business of unfair advantage may be an attempt to gain their own advantage, not necessarily because there is a legitimate unfair advantage. Offering my free services to any company, charity or not, is not an unfair commercial advantage, I am allowed to do what I want with my time. Item 6 is true, but completely irrelevant. Item 7 is irrelevant to New Zealand. It is more an issue in Europe. And I agree, forced tithing with money compulsory collected by the government and forwarded to the relevant church should not be compulsory based on your stated religion/ denomination. Preferably it should not be collected by the state at all. Some church organisations may struggle if this occurred, but that is not necessarily a bad thing. Churches, religious organisations, trusts, etc., are not paying their fare share of social costs - streets, rubbish, defense, health, emergency services, fire service, etc. Everything our taxes/rates are used for. The fair share my secular science and reasons organisation would have to pay. Now I think that many of these things should be funded by the people using them. Rubbish does not need to be run by council, nor does water supply, or sewage. However the system is that these things are provided by council currently. So I agree that it is reasonable for the charities to pay towards these things, but let's review specifics. The costs should only be those that relate directly to the organisation and its property, not the people in it. This is because the individuals who are paid by the charity pay their own tax at the normal rates. So health costs for a person who works for a charity are contributed to from his personal tax. The organisation does not have any health costs. Conversely, if a church calls the police about vandalism to their property, then they are using this service as an organisation. So fire, police, water, sewage, rubbish are real costs incurred by the charity which if not paid by the charity are then covered by others. Health, defence, social welfare, retirement, education, are not costs that a church incurs and are covered by the individual tax of its workers. I have left off roading as it is mixed, though on balance is a minimal cost, and almost certainly covered by fuel taxes. Charities do pay rates. Yes it is reduced to a nominal amount and may not cover the full cost of amenities, but they contribute toward it. Charities can claim sales tax, but if they hold an event that they charge for they have to pay sales tax. So the legitimate costs of charities associated with their tax exempt status are small. These categories (such as water) are not significant costs to government. But how much do religious charities save government? The amount of food, counselling, shelter given to people in- and outside the church is enormous. It would easily dwarf any savings they make from not having to pay their contribution to say policing, and probably decreases policing costs indirectly. Not that I think churches shouldn't pay for water and rubbish. Ideally these would not be managed by the council anyway, and then everyone including the church would have to pay private providers who could choose whether or not they wished to discount charities. And everyone would pay the true cost, and likely pay much less. But the situation is that the direct costs of religious charities to the state is minor, and completely offset by the savings they provide. Most businesses are like beehives. If government doesn't bother them, they don't bother government. If government meddles with business, the bees swarm Washington. Yet time and again, the liberal "remedy" for the bee problem is to smack the hive with a bigger stick. PC asks if I could link to a sermon. Joelee Chamberlain made a Creation audio for children, "The Master Builder", which is on Sermon Audio. It gives the argument for the Creator from cause, design, and contingency for 4-5 year olds in 25 minutes. She also presents the Gospel pointing to the brokenness of the world and that God is the Master Re-Builder. She presents mostly arguments from design of man, the world and the solar system, but at a level that a 4-5 year old could understand but without bringing up any doubts. I downloaded it and listened with my son. He enjoyed it especially some of the facts it introduced. Chamberlain does quite well, I would agree with most of the sermon. I disagree with the analogy of energy for machines and God's sustaining power she uses, but this is a minor dispute. It is definitely targeted at the age level mentioned. I am not certain my readership is large enough to modify download frequency but I am happy to provide a link. You do not need to sign up to the newsletter to download. Here are her other children sermons. There are couple of verses that I think are worth mentioning in this vein. 1 from the Old Testament, 1 from the New. While the additional conjunction "and" is the most common word for the Hebrew term, the explanatory conjunction "that is" is a legitimate choice and one that seems to fit the context better. Granted "spiritual" is an adjective acting as a substantive here, and "spiritual" alone does not work in English. But why not say "spiritual things"? Some versions do say this. Also the NET Bible footnotes "spiritual things," the KJV and NASB have the word "gifts" in italics showing that it is not in the Greek. ESV footnotes an alternative translation "spiritual persons." The Age of Reason is a specifically Christian heresy. It is an attempt to erect and defend a Christian World View without Christ. This argument is not airtight, one could quibble about the relationship of God to the supernatural, and one could be more precise about circumventing laws of nature, but it suffices for our purposes. The premises in the argument are disputable. Presuppositions are fine. We all have them and use them to filter our experience and construct a worldview. However, once we encounter evidence that challenges our conclusions we do well to examine our presuppositions. If we have good evidence that Jesus did in fact rise from the dead, then this means that at least one of the premises is incorrect. This should lead us to change our mind. In this case one would then think either that the laws of nature can be circumvented or, if we have reason to think they cannot, that the supernatural does in fact exist. The problem we face is that men will accept all sorts of alternative explanations, even completely unreasonable ones, just so that they can keep their presuppositions. Their denial of God means that no evidence for God is good enough because for some God cannot exist axiomatically. Any explanation, however preposterous, is always to be preferred over challenging one's belief about the existence of God. This is not following the evidence wherever it leads, it is restricting evidences to those that conform to the unchallengeable worldview. A resurrection denier could raise the same objection about those who affirm a resurrection. There is truth to the fact that the theistic presuppositions can be challenged by contrary evidence as atheistic ones can. However it is not the resurrection where this challenge is strong as the explanation of the resurrection is consistent and, one could argue, parsimonious with the data. Which raises a question, are those who deny the resurrection biased? The answer is yes. We all are biased. Deniers are are likely to be negatively biased to various degrees. This is because the resurrection is not a neutral fact, thus more prone to be affected by underlying bias. I can prefer the birth year of Aquinas to be 1224 AD over 1225 AD with little effect on my obligations. But affirming the resurrection impels me to address Jesus' question, "Who do you say I am?" And if I have already affirmed Jesus' resurrection I am likely to think he has given credence to his claims of who he is. 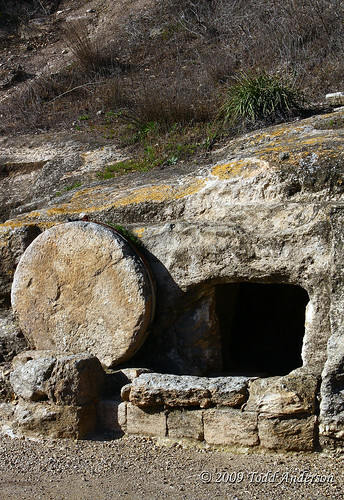 Therefore the request for historical and modern examples of non-Christians who affirm the resurrection is disingenuous. Sure, such people, if they exist, are powerful hostile witnesses; but the lack of examples is not surprising, and the request for such examples is similar to only accepting evidence for oxygen from ardent phlogistonists. I would be interested in trying these out. 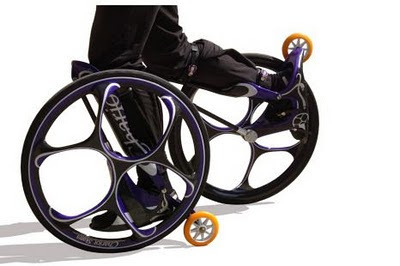 Michael Jenkins is an Australian inventor who reckons these can get up to 40 km an hour and go over rough terrain. At £1,000 they are a little pricey though.